Merry Christmas! That’s right, it’s still Christmas, in fact, it’s the Octave Day of the celebration of Our Lord’s Birth. 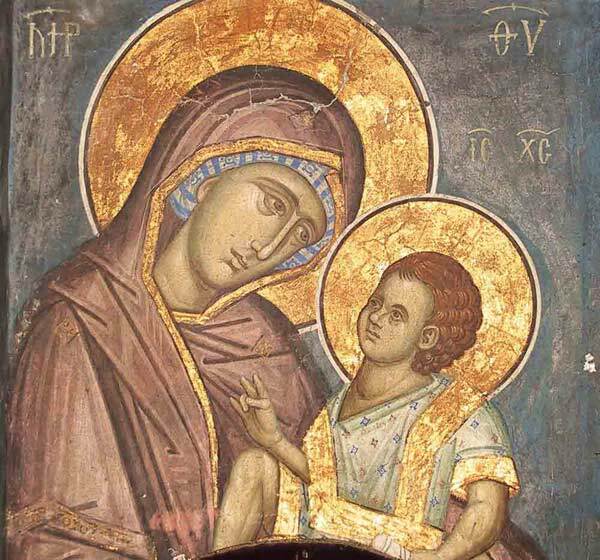 Of course, it’s also New Year’s Day, and the Solemnity of Mary, Mother of God. You may be wondering why today’s feast has such importance (it’s a holy day of obligation) and why we celebrate it on New Year’s Day. Jimmy Akin wrote a very informative piece about it in the National Catholic Register yesterday, which you can read here. As we mentioned yesterday, it has been our tradition to chant the Te Deum after Mass on January 1st, thanking God for the gift of a new year. We hope you enjoy this video featuring the monks of Solesmes chanting the Te Deum. May God fill you with blessings and graces throughout the new year! This entry was posted in Devotions, Our Lady, The Church and tagged Mary Mother of God, Te Deum by texasnuns. Bookmark the permalink. Sisters, thank you for this beautiful post and for all your beautiful daily Christmas posts! Thank you and a blessed new year to all of you too. Our prayers are always with you. Mary, Mother of God, please pray for us!